Humble Indie Bundle 5 was launched recently with five popular and award winning indie games. All these games are supported natively on Linux except one, LIMBO. 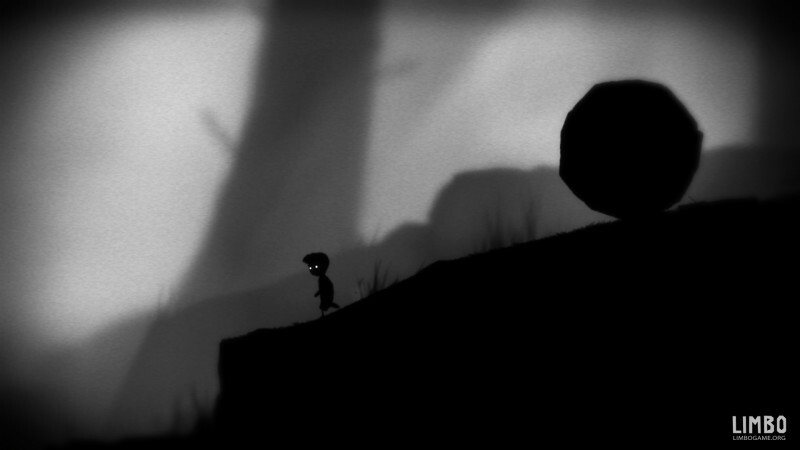 LIMBO doesn't run natively on Linux and instead uses a Wine/CodeWeavers wrapper. It has been a hot topic for debate in last couple of days and Humble Bundle organizers have commented on this. Now an online petition has been launched for allowing only native Linux games in Humble bundles. This is not an attack on Humble team by any means, but an effort to make a statement that quality standards should be maintained for Linux platform. Linux users have been supporting the Humble Indie Bundle from the beginning and a relation of mutual trust has grown between the people behind the Bundle and the Linux community. Unfortunately, I feel this trust has been violated by the inclusion of a non-native Linux game in the latest Bundle. This is not merely a complaint about one game included in one Bundle, in this case Limbo. It sets a horrible precedent for the future, encouraging developers to merely put out unoptimized Windows binaries of their games running through a WINE or similar layer merely to con Linux users out of their money. We can not allow this to happen, not to the Humble Indie Bundle. With all of this said, we do not want to boycott the Bundle as many of the developers involved are still very much deserving of our money, as are many of the charities, and even the Bundle guys themselves are still making an effort. But we can not let this go without at least getting our point across. 1. Linux users to sign this petition. Guarantee that the integrity of the Bundle remains and that you get a fair deal for your money. 2. Mac users to sign this petition. The threat of non-native binaries applies to you just as much as to Linux users. 3. Windows users to sign this petition. Ports often lead to optimizations and fixes, making your gaming experience better. 4. Other developers to sign this petition. After all of the effort some of you have put into your native porting, it is just as much a slap in the face to you. Also remember that you have a choice as to how your money is distributed - if you feel you have not gotten a fair deal from Limbo, please make sure your money is divided as you feel is right. This is not meant as an outright attack or a smear on the Bundle itself. It is a merely a reflection of our desire to see the high standards that the Bundles have previously adhered to continue. We are doing this because we care. Please accept this in the manner in which it is given. Personally I believe that if a game runs well on Linux using Wine with proper optimizations and quality standards, there shouldn't be a problem. Wine is a fantastic platform to use Windows applications and games on Linux and there are many games that run better in Wine than Windows. What do you think about this? Will LIMBO encourage other developers to release Windows binaries in Humble Bundles claiming that they run on Linux? I think this is a bit silly, games, if a game runs fine via wine or crossover, what's the big deal? If developers are willing to sell their games for a penny, I think it's a bit much to ask more of them. Even if it works with wine, it is not optimized for linux, and runs poorly on bad computers like mine. As said, porting games to linux can make you discover new ways of writing the game, which will maybe optimize it for all platforms. And it also inspires people to write new game on linux instead of being lazy and just writing for one platform.